A view from above Portnahaven over to Orsay with the Rhinns of Islay lighthouse. Just visible on the right is Eilean Mhic Coinnich. In the distance through the rain shower you can also just make out Ireland. 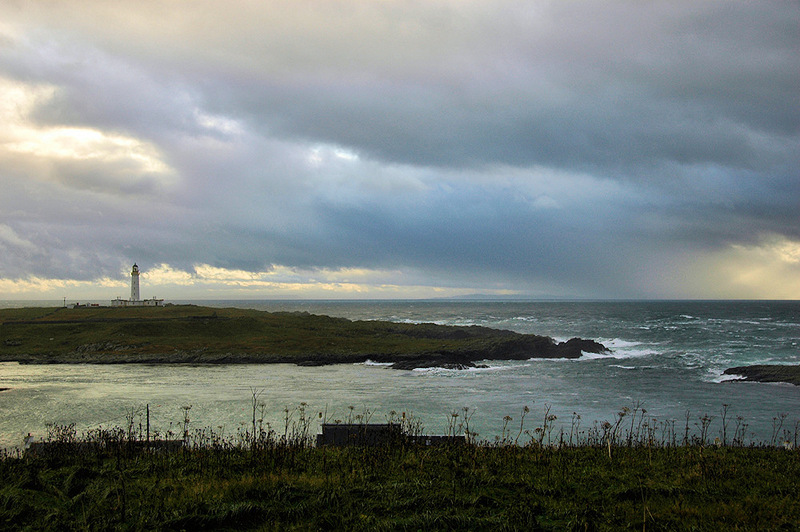 This entry was posted in Cloudy Weather, Landscape, Lighthouses, Repost, Village and tagged Eilean Mhic Coinnich, Ireland, Islay, Orsay, Portnahaven, Rhinns of Islay by Armin Grewe. Bookmark the permalink.